"Música de piano en su totalidad. Este CD es a la vez intrigante y muy relajante. Ralph Zurmühle sin duda es un maestro de su arte. 'Between' es un CD de piano excepcional. Una palabra puede resumirlo: Excelente!" 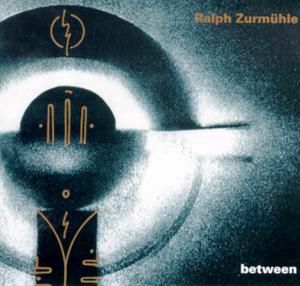 "Between is the first of three solo piano albums released by Ralph Zurmühle since 2000. Swiss-born and classically-trained from a young age, Zurmühle possesses the playing skills to do whatever he wants at the keyboard, but generally prefers to keep it simple and deeply emotional - often much more difficult to do well than playing a flurry of notes for the sake of bravado. Most of the music is on the melancholy and contemplative side, creating a sonic environment for relaxation, thought, or just losing yourself in. I have only recently discovered the music of Ralph Zurmuhle, and that discovery has been one of the high points in an exceptionally good year for contemporary instrumental music. Between begins with a short prelude called The Beacon that sets a tone of quiet mystery - an intriguing opening that piques the interest. Farewell is an 8 1/2 minute piece that wears its heart on its sleeve. Some of the melody is played in the bass of the piano, giving an achingly beautiful effect similar to a cello. I'll Find You There is an elegant and graceful musical promise that speaks gently but carries a lot of meaning. Prayer In the Night is one of my favorites. The repetitive bass line sets a consistent rhythm for the more improvised right hand and also creates an intense mood. This is one incredibly gorgeous piece. The mood lightens to almost playful in Indian Child. The Goddess In My Dream is a bit more classically-structured, yet is wistful in watercolor shades of color and delicacy. Leaving Home has the mixed emotions of a big step in life - anticipation and excitement intertwined with fear of the unknown. An Improvisation For La Plana is exquisite. A 13-minute improvisation, it is leisurely in pace but packed with passion. Very spare and uncluttered, this is music that comes from a place deep inside where only truths are spoken. When I hear something like this, I'm reminded of the stark difference between music that is assembled as "product" and when it is truly a work of art. Lullaby For My Soul is a bittersweet and oh so gentle little song that is at peace with the world - at least for now. Ralph Zurmühle is a real find! Very highly recommended!" "Swiss-born pianist Ralph Zurmühle has released three stellar piano CDs, the first of which is featured here. Between is a superb album which was released in 2000. Solo-piano in its entirety, this CD is both intriguing and highly relaxing throughout. Ralph Zurmühle, currently living in Spain, certainly is a master of his art. His CDs are remarkably consistent, maintaining an impeccably high standard from beginning to end. The CD opens with a delicate piece entitled The Beacon. It's a short track, and sets the mood for what is to follow. It's a lovely way to open the CD. Gentle, melodic and utterly gorgeous! If only it could be longer! Consider it as being like a very fine starter in a lovely restaurant. And so onto the main course. What a feast! The treats just keep coming and coming on this CD. Farewell is track 2, and clocks in at a quite lengthy eight-and-a-half minutes. Fans of Italian musician Ludovico Einaudi might well appreciate this piece, as there are definite similarities in style. It's another quiet and reflective piece of music. A great strength of Ralph Zurmühle is his ear for melody. Many a composer goes for melody or atmosphere- one or the other. However, this musician is blessed with a gift, and manages to combine both seamlessly. I'll Find You There is the title of track 3. This piece reminds me of the music of Russian composer Kostia, and the fact that different tracks generate associations with a range of composers I think is a strength of Ralph Zurmühle. His CDs are always relaxing and melodic, but never predictable, and the listener never quite knows what is coming next. This track is very beautiful. As mentioned in my review of Zurmühle's latest CD, Our Mother, another feather in the composer's cap is that his pieces feel unrushed. They tell a story, and this musician tells it like it should be told without an eye on the clock. This track is over six minutes long, and is fairly typical for this CD. I find this track very uplifting. It's a feel-good piece, and one that I can listen to over and over again. Track 4 is entitled Prayer in the Night (for Arno). I have no idea as to the identity of Arno, but I am presuming this is a musical prayer and it is dedicated to him. It has quite a tense opening, yet retains its relaxing qualities throughout. The left-hand suggests something is wrong, the right hand gives hope. I mentioned at the start of this review that this is an intriguing CD. This is well illustrated by the fifth track. There is no consistency in the track titles; they vary enormously in subject matter. Track 5 is entitled Indian Child. After a delicate opening, the piece develops into a jolly little number, reminding me somewhat of a typical piece from Philip Aaberg or George Winston. I have no idea as to the identity of this Indian Boy, but as he grows, he clearly turns into a lively individual. This track is quite different from the other pieces on the CD, particularly towards the end. One gets the impression that Zurmühle is having a lot of fun in playing this piece of music. It has a spontaneous feel to it, and I like it very much! Track 6, The Goddess in My Dream sees a return to the musical fayre more typical of Zurmühle. A slower piece, this is a lovely, graceful piece of music. It certainly has a heavenly feel to it. Leaving Home turns into another fairly uplifting track. Far from being a sombre piece, the music perhaps hints at the obstacles ahead, but the mood of this piece is overwhelmingly positive. It does become more reflective at the end- perhaps suggesting a moment of doubt or regret. A thirteen-plus minute piece arrives in the form of An Improvisation for La Plana. Castellón de la Plana is the capital of a province in Eastern Spain, and I am assuming this piece is referring to this location. Located by the sea and clearly steeped in history, the composer obviously holds this location in high regard, and successfully captures the natural beauty of the area. Less structured than other pieces on the CD (as one would expect), the music nonetheless takes the listener on their own enjoyable journey. The Queen and the King Dancing is the sort of title which I have come to expect from this composer! If they are dancing in this track, it is a slow-dance initially, but graceful all the same. Definitely ballroom-dancing material! The tempo gradually quickens. Pieces such as this are fit for royalty. One of my favourite tracks on this CD (there are so many highlights) is track 10, My Pal Watson. This piece reminds me of the style of Wayne Gratz or possibly William Watson. It's fun to listen to, and exceptionally melodic. How I love this piece! The title of the album's penultimate track, Lullaby for My Soul would suggest a gentle, soothing piece of music. It does not disappoint. It is perhaps more uplifting than the listener might expect from the title. Zurmühle's ear for melody shines through once more. As with all the pieces on the album, I can happily listen to this track again and again. Such is the quality produced by the composer. It's back to the food metaphor for the final track- a reprise of The Beacon. The listener has enjoyed a perfect meal, and this is the glass of vintage wine that rounds off the ultimate culinary experience. Between really is an outstanding piano CD. For a debut release, it is breathtakingly good! I am intrigued by the abstract artwork on the cover. The CD is nicely packaged with gold writing inside. No clues are given as to the origins of the pieces, but this reviewer will soon be pressing for answers in a scheduled interview with the composer (September). The recording quality is first-class. Fans of this CD should check-out Ralph Zurmühle's other two releases: Communion and Our Mother. One word can sum up: Excelente!